Kellie Pickler became popular as a contestant on the fifth season of American Idol in 2006. Her hits “Red High Heels,” “I Wonder,” and “Best Days of Your Life” have won her numerous awards. 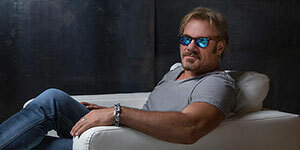 She will be at the State Theatre on December 20 with Phil Vassar performing A Christmas Tour. She joins us to discuss. She joins us to discuss what it's like juggling being a musical artist and a TV personality as well as how performing with the USO has changed her life.